The TurboTax Blog > Tax Deductions and Credits > Can I Claim a Casualty Loss for a Natural Disaster? 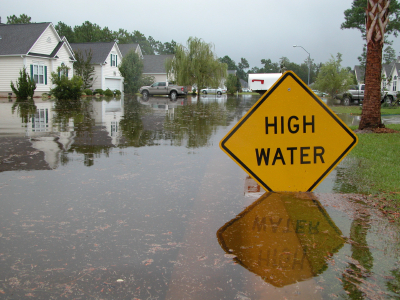 Hurricane Sandy and other natural disasters can be devastating for the individuals impacted. You can never replace the personal items lost, but the IRS offers some relief. Jim Wang tells us how to claim a casualty loss when the unexpected happens. When it comes to insurance, it can be disappointing to realize that you are not going to receive payment on your claim. In these cases, it’s possible to take a tax deduction for the loss you suffer to your property if you are not compensated by insurance and in some special cases waiting for compensation. This is known as a casualty loss. If your claim is denied, and the insurance company doesn’t pay it, you are allowed to deduct a portion of your losses from your income. This can be a way to reduce your tax liability, and recover, to some degree, your losses. Not everything is considered a casualty loss for tax purposes. Accidental breakage or damage, deterioration over time, damage that comes as a result of willful negligence, arson committed on behalf of the taxpayer, and pet-related accidents are not eligible for this take deduction. Your home is damaged by a tornado. Your home was documented to have a $50,000 reduction in fair market value, but your adjusted cost basis was $20,000. So, now you have to go off the lower amount — $20,000. On top of that, you have tornado insurance that covers $10,000 of the damage. So, what’s left that was unpaid as part of your claim is $10,000. You subtract $100 from that number to end up with $9,900. Now, consider your AGI. If your AGI is $45,000, 10% is $4,500. You can deduct the portion of your loss above the $4,500, so you subtract that number from $9,900. Your total deduction is $5,400. Generally casualty losses are deductible in the year the casualty occurs, however if you suffer casualty loss due to a federally declared disaster that occurs in an area requiring public or individual assistance, then you can treat the loss as having occurred in the year immediately preceding the tax year in which it happened, and you can deduct the loss on your tax return or amended tax return for the year before. So for instance, if you were a victim of Hurricane Sandy and you already filed your 2011 tax return, you can amend your 2011 tax return and claim your recent loss earlier since your insurance company may take a while. You may even receive a bigger tax refund for 2011. If you are expecting reimbursement for part or all of your loss, you have to subtract the expected reimbursement when figuring your loss, even if you are not expected to receive payment until next year. Deducting a casualty loss isn’t the same as getting a dollar for dollar reduction in your taxes. However, it does provide you with a way to ease some of the pain related to your situation, and help you offset some of the costs that the insurance company has not paid.